A bit of a funny drinking game, Pick Up Sticks is a cool drinking game you can play while you’re building up your buzz at the club. The only thing you need to play this bar drinking game is a bunch of toothpicks which you should be able to get from the bartender / server. This is primarily a 2 person drinking game and is really just something to do to pass the time. Sometimes you find yourself at a pub for a pre-drink and you need to know pub drinking games without cards because the pub doesn’t really look like the type that carries cribbage and backgammon boards behind the bar. Now this pub drinking game may not actually qualify as a drinking game per se, but it is an activity that involves drinking and it is a type of game so let’s not worry about labels. You know that first hour when you get to the club and you’re just sitting around with your friends kind of waiting for the night to get started? Well, this is something that you can play to help get the night started. Objective: To alternate picking up the ‘sticks’ until only one remains. Drop the 15 sticks on the table between the two of you. Decide who is going to begin. 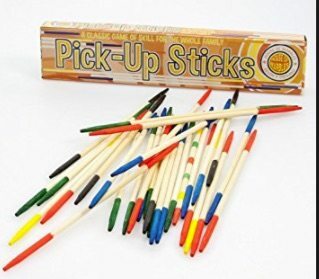 The first person starts by picking up between 1 and 3 sticks. The next person continues by also choosing to pick up either 1, 2 or 3 sticks. This continues until only one stick remains. The person left with the last stick is the loser and takes a drink of whatever they happen to be drinking. The winner starts the next round. That’s it. Nothing magical or mystical – just something to pass the time and get your buzz on before the bar starts hopping. Guys, how else are you going to get the courage to join the ladies on the dance floor? 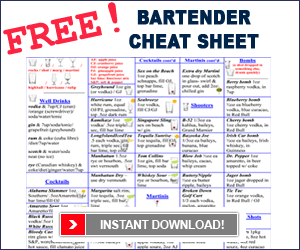 Hey there, Reese Richards from barsandbartending.com! So, today we’ve got a little bar game, ok? A drinking game. So, uh… picture this: you’re sitting at the pub, you know, and you’re just kind of getting started with the night, and, uh, you and your mate, you’re just kind of drinking and kind of watching the people come in. So here’s something you can do… a really simple game that you can do, just to have some fun, pass the time, and get some drinks down. So, just go to the bar and get fifteen toothpicks, ok? If they don’t have toothpicks, you can get matches if they have matches. So, fifteen toothpicks or matches, ok? And all you do is you scatter them out in front of you on the table and, very simply, one person starts… they’re able to take either one, two, or three toothpicks at a time. Ok? One, two or three toothpicks at a time. So, first person starts, takes one or two or three toothpicks. The next person, same thing. And then the person that takes the last toothpick is the loser, and that person drinks. So, you know, one person takes two, I take three, my buddy takes one, I take two, he takes two, I take one, he takes three… I lose. Ok? I take the last toothpick, so I lose, and I do a shot or take a drink of my beer, or sip… ok? So, very simple game. Fifteen toothpicks… something that you can do when you are just starting out the night at the club. Do check out some of the other drinking games we have listed on our site by checking out the links below.